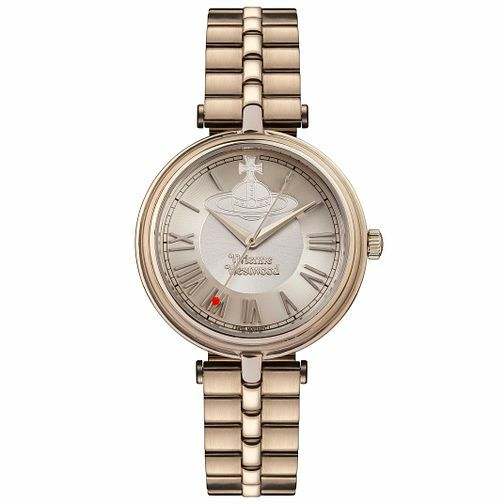 Showcasing the signature style of Vivienne Westwood, this rose gold-plated watch is a distinctive accessory designed for the woman who demands more from her wrist wear. Styled with a soft taupe dial, and Westwood branding, this is the ultimate statement to update your look. Vivienne Westwood's quirky watch collection features hearts, skulls and the iconic orb.